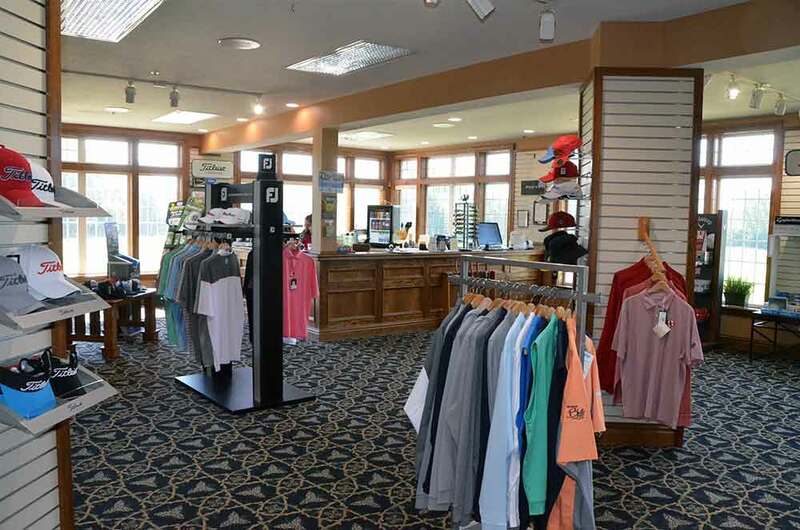 Can be treacherous if too far off the fairway. 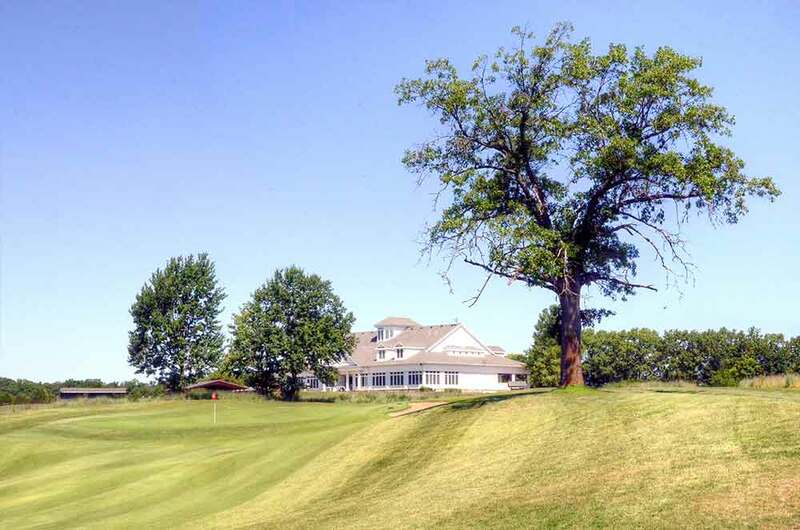 Missouri Bluffs Golf Club in St. Charles County is one of the premier courses open to the public in the entire St. Louis region. It’s flat out gorgeous, but it isn’t flat. It’s also quite intimidating because if your ball’s not in the fairway . 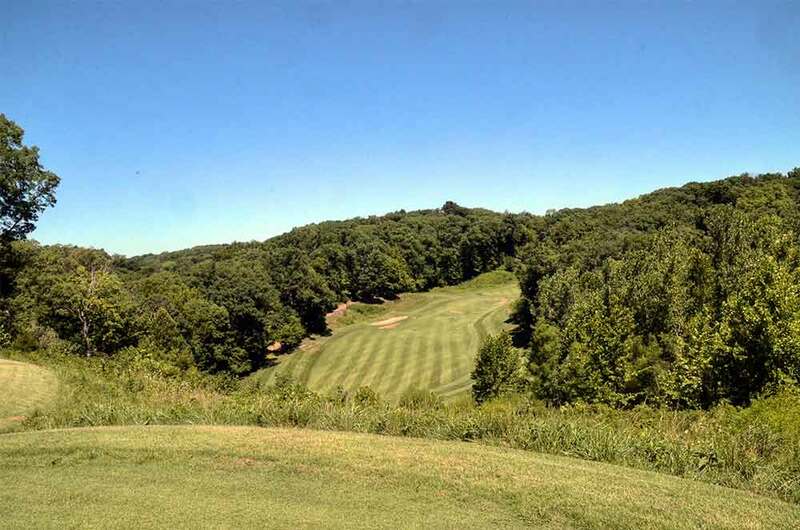 . . it’s going to be in some thick Missouri forest and, though you might find it, you’ll likely emerge with a one stroke penalty and an engorged tick stuck to your sun burnt, freckled head (wear a hat, you pasty, bald moron). 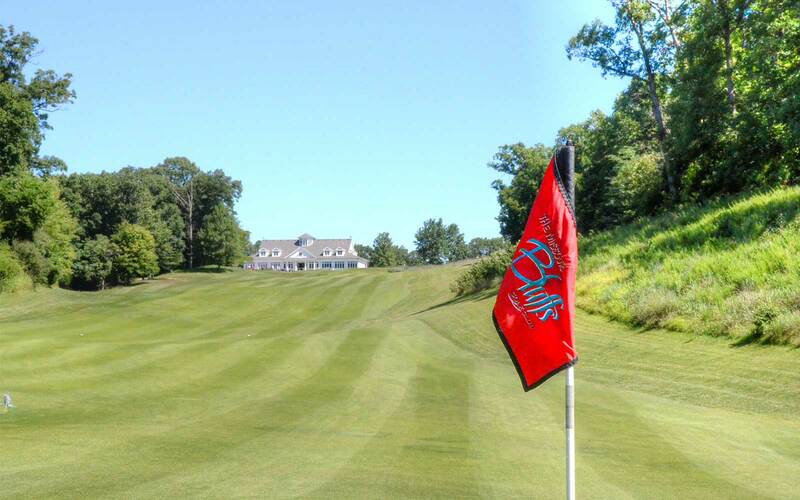 If you play the Bluffs, keep the ball in play or you’ll risk Lyme Disease and spending the winter in a wheelchair. 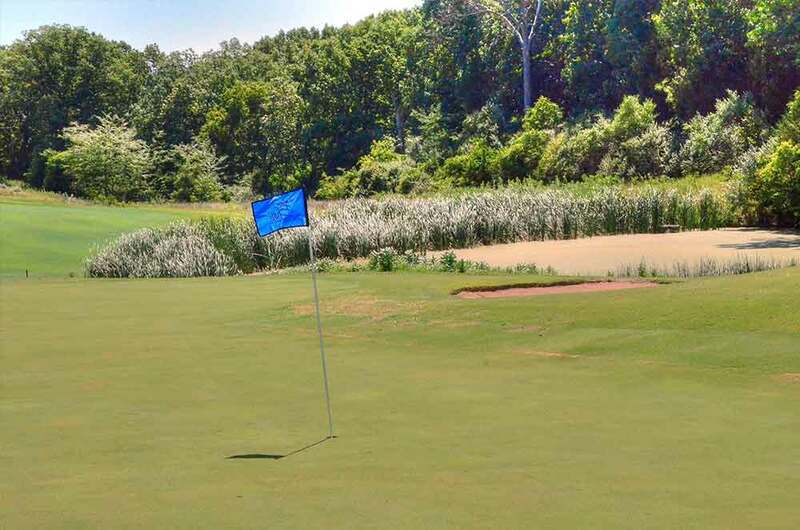 The good news here is that the course is not as hard as it looks. 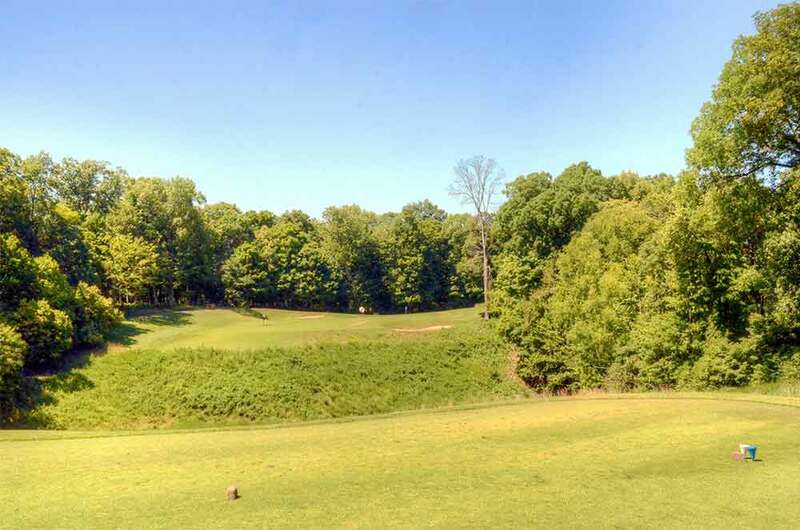 Tom Fazio — and it’s the only Fazio design in the region — created a track with a clear path to every green, and most fairways funnel the ball either to the middle and a flat lie, or towards the woods, the ticks, and years of crippling joint pain. 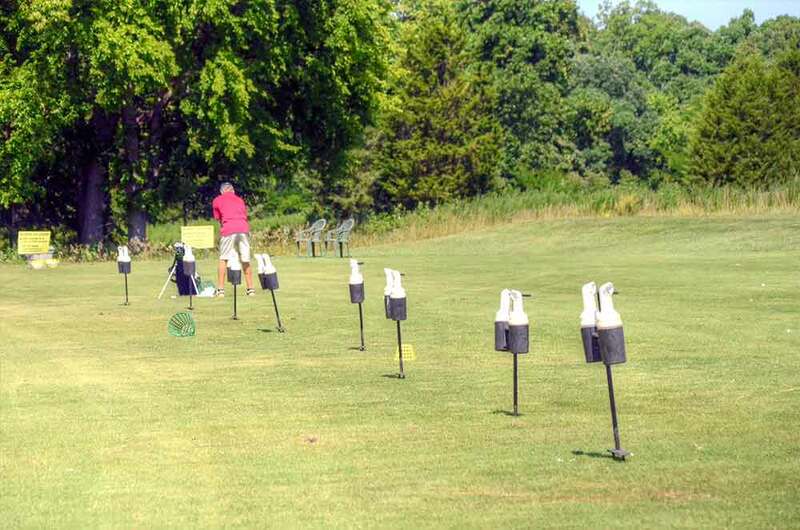 So all you have to do is identify the correct path to the hole from the tee box, and hit the ball where you aim it. Easy peasy lemon squeezy. 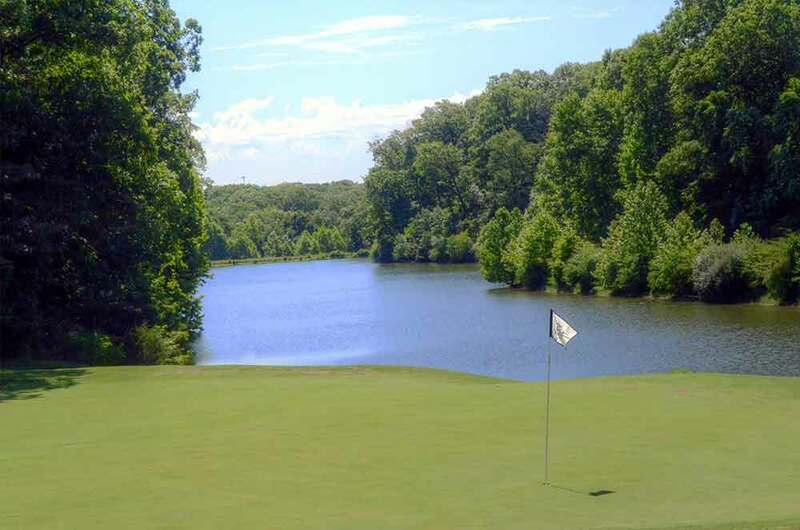 The Bluffs offers gorgeous, scenic vistas, dramatic elevation changes, outstanding course conditions, moderately quick greens and all the golf challenge you’ll ever need. And ever since it opened back in 1995, the Missouri Bluffs has been an island of tranquility on a large, undeveloped tract of land. That is about to change. 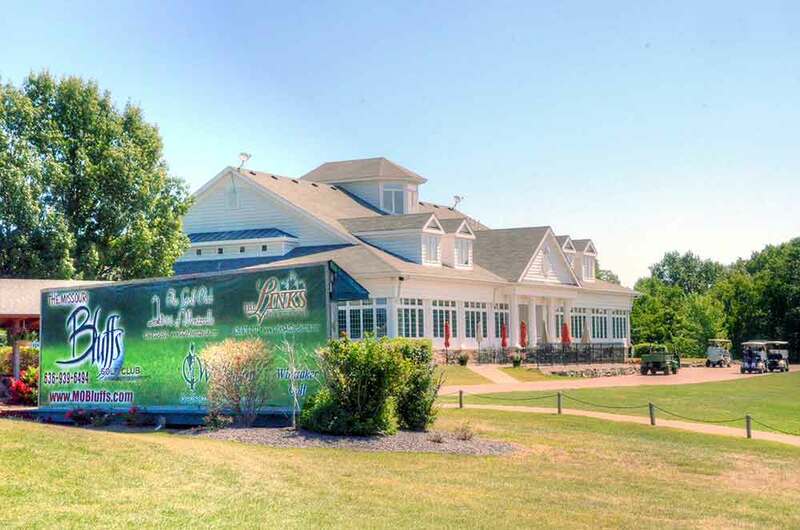 Monied real estate developers are preparing to build a subdivision around the golf course. Hearings are being held and, despite vocal opposition by concerned citizens, it appears that the project will move forward. So the time to play the Missouri Bluffs is now. If you go, bring plenty of balls, a wide-brimmed hat…and maybe a pair of tweezers…just in case.